That Went Well by Terrell Harris Dougan through At Home With Books. The review was so catchy I couldn’t help but want to read this book. Hotel on the Corner of Bitter and Sweet by Jamie Ford through multiple blogs. This is one instance where power of persuasion worked. The cover was pleasant but what really got my attention was my exposure to it. On multiple blogs I saw this cover. In fact, one blog (I’m sorry, I don’t remember which one) compared the ARC and retail covers. Somehow, I managed to be exposed to multiple blogs without learning any spoilers about the characters and plot. Sweetsmoke by David Fuller through Caribous Mom. It’s the adjectives that got to me… gripping, complex and memorable are not often used in book reviews. What books have you found through a book blog? None, though maybe I should start visiting book blogs more...I'm very picky and tend to stick to tried-and-true authors: Charles deLint (except for his horror; I sometimes write horror but never read it), Jaqueline Carey, Jodi Picoult, and so on. I should branch out! 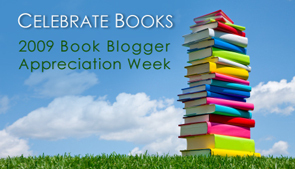 I've discovered a ton of books through 50bookchallenge here on LiveJournal. Some of my favorites from this year include Nevil Shute's On the Beach and Tess Uriza Holthe's When the Elephants Dance. Also, since I started following author blogs I've been buying a lot of their books, too. In most cases, I hadn't even heard of them before I joined their blog.